Save-T Bug Control Air Doors are specifically designed to stop the infiltration of flying insects. They are ideal in the food industry where USDA and NSF approval is a must! To meet with NSF approval, air doors must produce a velocity performance level of 1600 FPM 36" off the floor. 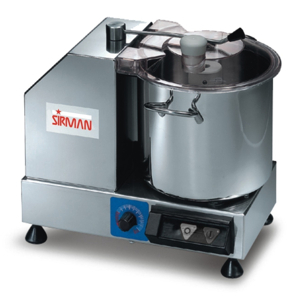 IBD units meet this requirement and are certified by AMCA. 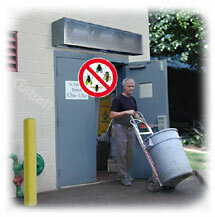 Save-T Bug Control Air Doors are specifically designed to stop insects from entering a building through open doorways. 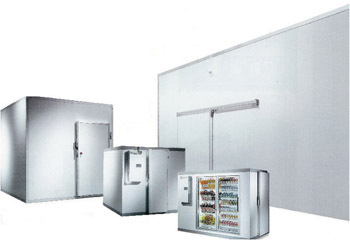 These units are effective in doorways up to 8' high and meet both USDA and FDA standards. Bug control units help to maintain sanitary conditions and provide a thermal barrier at the same time. They also carry the National Sanitary Foundation approval. Bug control air doors can be mounted either inside or outside. If possible, it is recommended to mount outside to keep bug inviting aromas inside the building. Heat and air volume controls are not an option with Bug Control air doors. Please see our light or medium industrial units.